Did you know that dealers check a person's payment to income ratio when they apply for sub prime auto financing, and that a bad PTI can hurt a their chance to qualify for a loan? 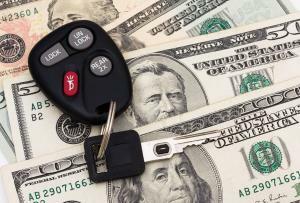 Most car buyers tend to only take their current income into account, and fail to consider how the difference in their current debt amount and income can influence their loan approval. Consumers who are seeking loans for cars while having poor credit have to show a lender they can manage loan payments. Therefore, by knowing your PTI you can know if you qualify for financing or at least know how much you need to improve by to get there. What is Payment to Income Ratio? Often time's payment to income gets slightly confused with debt to income ratio, which is another method many lenders use when offering bad credit car loans when offering loans. The major difference between the two is connected to what information the dealer needs and how they apply it. When calculating a PTI a financing company will simply take a consumer's monthly gross income and divide it against monthly car payment amount. The ending result should be a percentage that will reflect how much of their income is absorbed by their vehicle loan. Therefore, if a person makes $5000 each month before taxes and pays a $350 towards financing a new or used auto with bad credit then we know that 14% of their income goes towards their car payment. Now that you know what payment to income is and how it's calculated you may be wondering how this affects you when applying for bad credit financing. The answer is simple, as most lenders utilize this small percentage to determine if you have are financially stable enough to handle your loan payment. That is why in most cases people with a PTI over 20% generally have a hard qualifying for loans. Auto finance companies for bad credit want to be sure that you not only have enough to make your car payment, but also enough to meet your other bills. Here at AutoNet Financial we provide special auto financing. We work with local car dealerships and in house financing dealers to find the best auto loans that accept people with problem credit.